She'll be the queen of the playground! 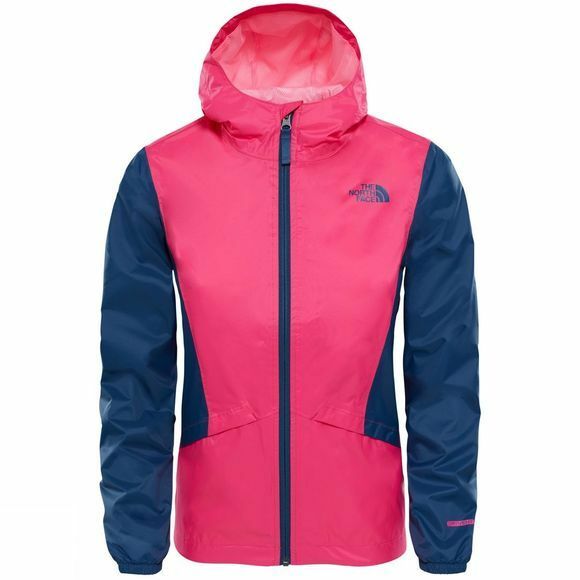 The Girl's Zipline Rain Jacket from The North Face's waterproof, breathable and fully seam sealed for ultimate protection in rainy conditions. Stormflaps are present on the pockets and centre zip to prevents water seeping inside, while an attached hood will her head dry. Elastic cuffs and logo detail complete the look which will make her queen of the playground.